With the rapid development of concrete batch plant industry, construction machinery enterprises have gone up. But, the equipment imported from abroad is expensive, some users can not accept in domestic market which helps to open sales road of construction machinery in domestic market. The development trend of high speed, high grade, high efficiency, and high technology in concrete batching plant industry is inevitable. 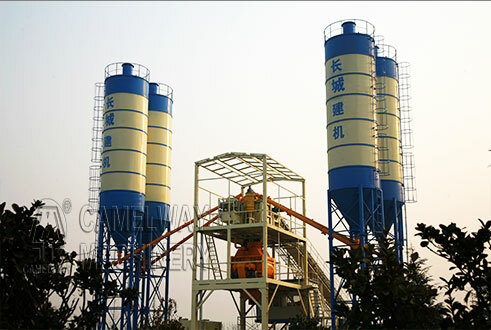 Some domestic concrete mixing plant equipment manufacturers have a certain economic strength and market competitiveness, if they can produce high quality products, they will be accepted by users. Of course, there are still some gaps in the domestic and international product lines, the gap mainly in terms of structure, speed, material, machining accuracy, strengthen research of continuous improvement, catch up with international advanced level is possible. The western region’s economic backwardness, the industry is relatively backward, concrete batching plant has a lot of space for development. Concrete batch plant production structure is being adjusted and enters into a new pattern of production of specialized division of labor. This model has less investment, fast output, low cost and good efficiency. From industrial development tendency, it is obvious to see that the key point of accelerating the development of concrete batching plant is to develop equipment with low gram weight, high intensity, and high efficiency. What are the differences between the different control systems in the concrete mixing station?